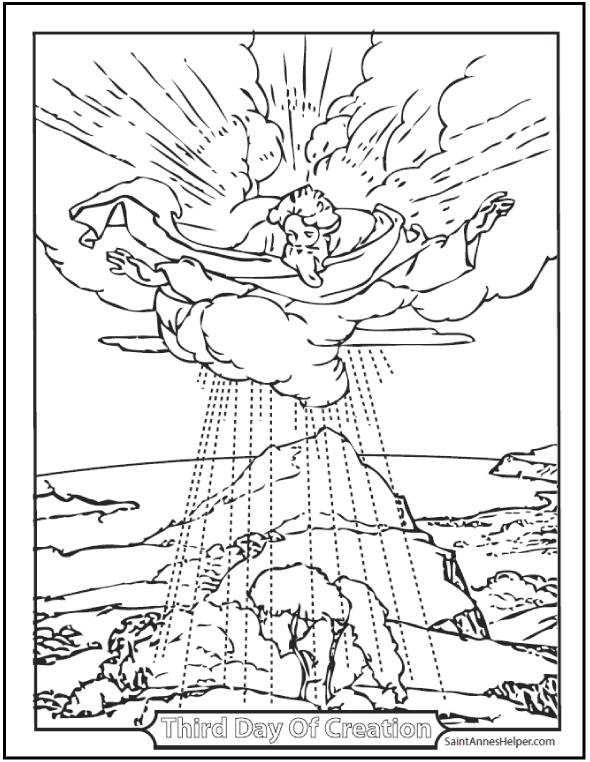 This Creation coloring sheet shows the third day when God made the green herb and the fruit tree, etc. This PDF prints 8.5x11" single sided. On the third day of Creation God made the green herb and fruit trees with seeds to make more of their own kind. 1:11	And he said: let the earth bring forth green herb, and such as may seed, and the fruit tree yielding fruit after its kind, which may have seed in itself upon the earth. And it was so done. 1:12	And the earth brought forth the green herb, and such as yieldeth seed according to its kind, and the tree that beareth fruit, having seed each one according to its kind. And God saw that it was good. 1:13	And the evening and the morning were the third day.